Where only heavy duty cast iron fixed castors will do the job, look no further than our 6000 Series Cast Iron Fixed Castor. 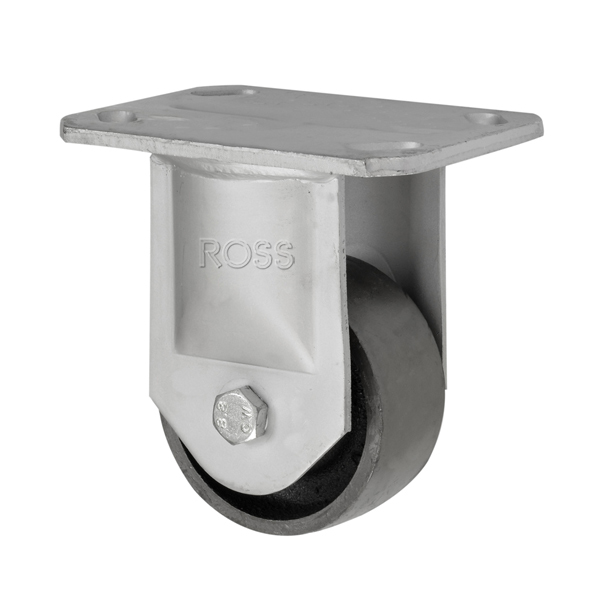 With 2 sizes to choose from, and a maximum load capacity for each fixed wheel of over 600kgs, these hard working fixed castors will last for years to come! If you cant find what you are looking for or require a BESPOKE solution, get in touch as we are able to help you!